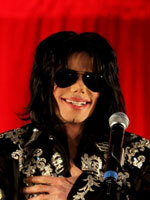 Iconic pop star Michael Jackson suffered a cardiac arrest and died on Thursday at the age of 50. Details of his death are still emerging, but friends and relatives say they have been concerned about Jackson’s use of prescription painkillers. THURSDAY, June 25, 2009 (Health.com) — Iconic pop star Michael Jackson suffered a cardiac arrest and died on Thursday at the age of 50. Details of his death are still emerging, but friends and relatives say they have been concerned about Jackson’s use of prescription painkillers. Brian Oxman, the Jackson family spokesman and attorney, told CNN that people surrounding Jackson were “enabling” him in his use of medications. Jackson had suffered a number of injuries, including a broken vertebra and a broken leg sustained in a fall on stage, Oxman said. “If you think the case of Anna Nicole Smith was an abuse, it is nothing in comparison to what we have seen taking place in Michael Jackson’s life,” Oxman told CNN. Douglas Zipes, MD, a distinguished professor at the Indiana University Medical Center and past president of the American College of Cardiology, says that drug abuse can contribute to a cardiac arrest. Jackson may have been underweight as well. He reportedly weighed 120 pounds in 2003. At 5’10” or 5’11” (reports vary), he would have had a body mass index of 16 or 17, and anything below 18.5 is considered underweight. Another factor that may have played a role is stress, says Dr. Zipes, who has not treated Jackson. In general, a cardiac arrest is much more dangerous than a heart attack. During cardiac arrest, the heart actually stops beating and quivers with uncoordinated contractions. Unless a defibrillator is used to shock the heart back into a normal rhythm, death is inevitable. Someone experiencing a cardiac arrest generally collapses, loses consciousness, and stops breathing. Despite dramatic TV portrayals of patients being revived from cardiac arrest, the chances of survival in real life are slim. If a bystander performs cardiopulmonary resuscitation until the heart can be shocked back into a normal rhythm, the chances of survival are much better. About 95% of people who experience a cardiac arrest die before reaching the hospital. Overall, about 1,000 cardiac arrests occur each day in the United States; that's roughly 350,000 per year. A heart attack, on the other hand, is a reduction in blood flow to the heart, which can cause a crushing chest pain known as angina, along with sweating, nausea, a sense of impending doom, and tissue death in part of the heart muscle. In contrast to cardiac arrest, heart attack patients may not lose consciousness. If they get rapid medical treatment, the prognosis is generally better. Heart attacks are about twice as common as cardiac arrests, but a heart attack can progress to a cardiac arrest if not treated. Heart attacks are more common in those with heart disease, high blood pressure, obesity, and diabetes. (Read more about heart attacks.) Cardiac arrest, on the other hand, can be caused by a wide variety of factors, including heart disease, drowning, electrocution, choking, and traumatic injury. The American Heart Association recommends that people know the warning signs of cardiac arrest (loss of consciousness, lack of pulse), call 911, and perform CPR until help arrives. Bystanders can even administer chest compressions alone and skip mouth-to-mouth breathing while waiting for emergency help or defibrillation, according to recent guidelines from the American Heart Association. “I think it’s tragic whenever anybody has a sudden cardiac death, particularly somebody whom you would consider to be relatively young. I don’t think society considers that people in their 50s can die suddenly—I think that adds to the tragedy of the situation,” says Stephen Nicholls, MD, a cardiologist and assistant professor of molecular medicine at the Cleveland Clinic, in Ohio. “The other thing it highlights is the importance of CPR and the importance of using defibrillators,” he says. There’s been a push in recent years to make sure automated defibrillators are in airports, shopping malls, and sports stadiums. “The most prompt action to try to restore heart rhythm in that situation gives you the best chance of survival,” Dr. Nicholls says.